The former manager of a now-closed Wrightsville Beach bar argued before an administrative judge on Thursday, May 17 that the North Carolina Alcohol Beverage Control commission is wrongly denying him an opportunity to operate the establishment. Meanwhile, the Wrightsville Beach Police Chief described Red Dogs as a problematic establishment often requiring police resources to reply to issues at the late-night bar. 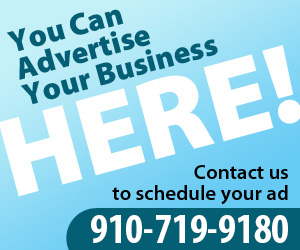 During the administrative law hearing at the Brunswick County Courthouse, ABC officials said that Jon Shellem, a former manager of Red Dogs, was denied a permit in February 2018 for several reasons, including a close association with the prior two permit holders at the 5 North Lumina Ave. location. Representing Shellem, attorney Clay Hodges told the judge that the ABC justification to partly base its decisions on suspensions or revocations of the prior license holders of the bar was unfair and shouldn’t be held against him. Testifying at the hearing, Shellum said nearly 20 years experience as a bartender and manager gave him the experience to run a “safe and fun” bar that would cater mainly to college students, with operating hours from 10 p.m. to 2 a.m. on Thursday, Friday and Saturday. “College students tend to enjoy coming down to the beach,” said Shellem, adding that he already had some staff lined up to operate the bar. Red Dogs and its former owner Charlie Maultsby has a long history of challenging the town government, and after several successful efforts to retain his license for the bar, he had to relinquish his ABC permit for the bar in 2016 following a felony gun conviction. Jimmy Gilleece, owner of the downstairs bar Jimmy’s at Red Dogs, took over the license in 2016 as a temporary permit holder and employed Shellem as a manager, but the ABC board rejected his request for a permanent license after it determined that Maultsby still had an operational role in the business. Consequently, an ABC report on Shellem’s permit application found that he had established a consulting agreement with Maultsby, one that Hodges said Shellem terminated after he realized it would jeopardize his application. But ABC assistant counsel Rachel Spears told Administrative Judge J. Randolph Ward that the hearing was to appeal the permit rejection and anything that happened subsequently was irrelevant. ABC commission deputy director Agnes Stevens said that in addition to Shellem’s association with both Gilleece and Maultsby, for whom he served as a bartender, the town of Wrightsville Beach objections to Shellem’s permit application also factor into the ABC board’s decision. Stevens also said that Shellem’s working relation with Maultsby included subleasing the space from him. During the hearing, police chief Dan House described Red Dogs as a “continual problem” for town officers, with fights, theft and intoxicated behavior in front of the bar as common. Additionally, he said that the bar, which operates like a nightclub limited to weekend hours between 10 p.m. and 2 a.m., saw an influx of gang members around 2015. But Shellem argued that many of those problems were the fault of a management staff from 2012 to 2015, when he was employed at King Neptunes next door. He also noted a lack of incidents in the period of 2002 through 2011, when Shellem worked as part of Red Dogs’ bar staff. House countered that under the town’s previous police chief, officers only took incident reports for the most egregious violations, arguing that the low numbers from that period didn’t reflect the problems the town had with the establishment. Despite Gilleece’s ownership role, an ABC auditor said Maultsby was still active in the business, including being a signatory on the bank account. Shellem said that he would license the name “Red Dogs” for $20,000 a year, which would give the club the name recognition to be successful from the outset while also carrying on the legacy of an establishment with a worldwide reputation. Shellem recalled a time when he was in Hawaii wearing a Red Dogs t-shirt, drawing attention from others who knew of the bar, while adding other patrons had said their Red Dogs apparel had gotten noticed in foreign countries. 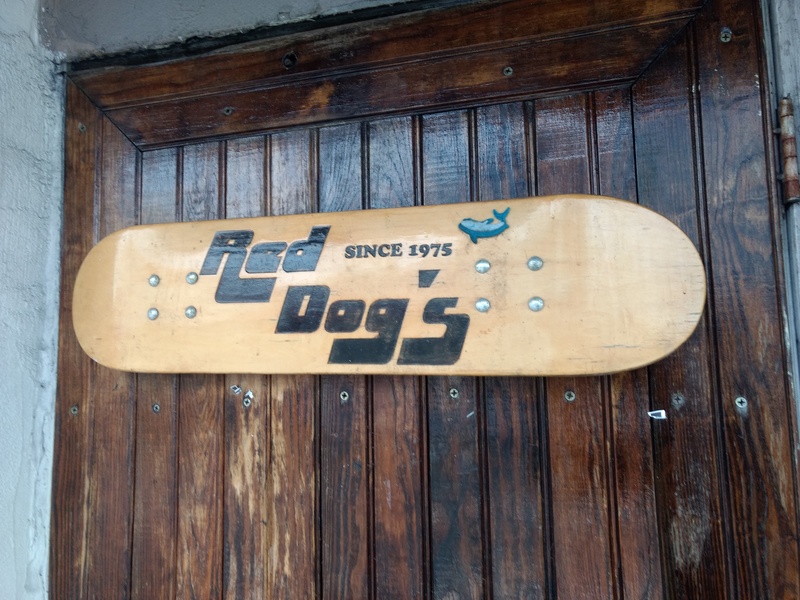 “Red Dogs is an institution in Wrightsville Beach,” Shellem said. In addition to Chief House, the audience included all five members of the board of aldermen, the town attorney and the town manager. Ward said that the hearing record would be open for 30 days and a decision would likely come within 30 days after that.